Ani's Book Abyss: My TBR List -- July Winner! 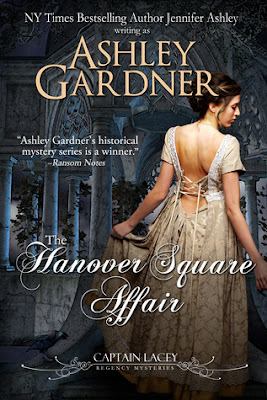 The Hanover Square Affair by Ashley Gardner won with a landslide victory! The voting started off the week with a very tight race. In fact, for a while I thought I would have to read two books for My TBRL this month: The Hanover Square Affair and Icebound were neck and neck for the first half of the week. Un Lun Dun was only one vote behind them. And then Hanover suddenly got a burst of votes and jumped ahead of the other two books within a single day. I'm glad I didn't resign myself to reading two of the three books already, not that it would have been a problems since I will be reading all of these books by the end of the year anyway. Not what I picked but it does have a very haunting cover! I hope you enjoy it, Ani! Happy Reading! I DO love the cover! Thanks! This one sounds like it will be very good. I hope you enjoy it! It does sound intriguing. I hope it's good! Thanks! I think I voted for another, but this one sounds good too. It's interesting seeing how the votes for the books change over time and which one ends up winning.